Like a lot of people who write online (or in the press for that matter), I wondered about writing an end of year comment or review. There was after all, a lot to look back on. I also thought about including some smart quote (it was the best of times, it was the worst of times; this was their finest hour), but nothing really works without sounding trite. One of my writing teachers back in 1986 said be simple, be direct. With the amount of waffle we have to put up with online, that remains good advice. 2011 started with a low point, but I had always been taught that we cannot make omelettes without breaking eggs. We move on and capitalize on what we have. January 2011 saw the last issue of the Bangkok Post, Database, Tony Waltham's creation that I had been writing for (on and off) for the previous 20 or so years: the last 7 with the Apple/Mac column, eXtensions. I thought then that the decision to stop the daily supplements (and dump most freelance writers) was shortsighted and I still do. The replacement which they called Life, was a limp magazine with mainly brief local articles that patronised the readership or wire items that anyone could read (and probably already had a few days before) on the Internet. After a while I cancelled the delivery and feel as if nothing was lost. Except a fairly good newspaper. What we have noted about the best magazine apps (and others) for the iPad is that the prime concern is content. Without that your app (or your newspaper) is nothing. The news that the Database was to end was not totally unexpected, although it was unwelcome. I had heard rumours about the changes circulating for weeks. I had time to think about what I could do. My plan was to create a site focussing on IT with some concentration on this region: South-east Asia. As part of the expansion, I invited others to contribute on a basis of shared advertising income. I may have been naive, but the response was dismal. Several people I know never replied to emails, while a number promised -- the word, Yes, was used -- and did not write again. A surprise was Don Sambandaraksa, who now writes for Telecomasia. Don and I met up for a coffee and talked about the (then) future. He declined to write initially, intending to test the waters elsewhere and he hated the site name. After a few weeks, he seemed to miss the idea of writing and sent several valuable contributions from the UK. His work certainly helped keep up the numbers and we are currently investigating a new collaboration that may see the light sooner rather than later. The input of David Longstreath, the Pulitzer prize-winning photographer who wrote occasional (and welcome) submissions after his retirement from AP was also helpful. We met through a mutual friend and the first chat I had with him was a revelation in terms of how he understands the camera as a tool, and photography as both a Science and an Art. David's family became his priority and he moved to the north. Choosing the name for the site was via a process of defining what I wanted to do and ending up with the words -- Apple, Mac, IT, iOS, Asia and Everywhere else -- whose first letters made the site name. Don hated the name, but I argued (with names like TUAW and TiPb as evidence) that after a few weeks, no one would care. I was not wrong. With the limited input over the year from others, I had to write more than I ever had before. With the Database, there was usually one item a week. With the new site, I sometimes found myself writing several a day. I found this stimulating rather than anything, although the limited access to hardware as review items, meant a shift to software, opinion and ideas. The year, however, provided plenty of fertile input for me to work with, including an update to OS X, new products from Apple, other IT-related events and, of course, near the end of the year, the death of Steve Jobs. Things changed rapidly at the end of October with the arrival of flood waters in Thailand. I had not initially expected the area I live in to flood, and then thought it would only be a few days. I was utterly wrong. Indirectly, the flooding set in motion the end of my experiment with AMITIAE and my return to using eXtensions as my main site. 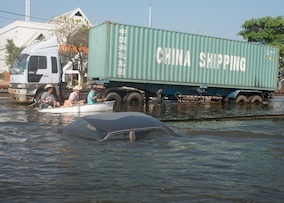 The flooding also caused much disruption to world computer supply chains as the factories that produced most of the world's hard disks were under a couple of metres of water. While Seagate was able to switch some production, certain components manufactured by suppliers were not able to continue. Western Digital suffered considerably more and is in the process of recovery. Both companies have reduced the warranty periods for many of the hard disks they manufacture. 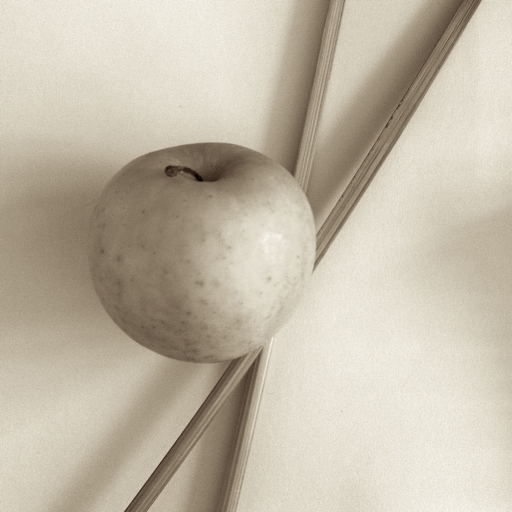 The websites, eXtensions and the now-gone AMITIAE, would not have come into existence without Apple. AMITIAE was a response to the closing of the Post Database, while I set up eXtensions as a way to archive articles I wrote for the newspaper because the Post's own archiving system was so difficult to access for anything over a month old, and their search engine was hopeless. I expanded eXtensions to include motorcycle riding and teaching information too. I shifted to Macs when my last (386) PC died and have stayed. I have never used Windows. When OS X arrived, I tried it on a G4 that arrived in my office and scared myself, going back to OS 9 before I did any damage. It was clear that Apple was not going back, so I tried again a few days later. Within a short time I had the hang of things. It was clear that few people were using OS X at that time, so I suggested to Tony Waltham at the Database that a Mac column might be timely. There had been Mac columns in the past, most notably by George Mann; but at that time -- to reflect the Apple gap years -- there was nothing in the Post. I started with a column once every two weeks, but after a trip to Phuket (a month before the Tsunami) where I addressed a meeting of local users, the column became weekly. The high point for me was being invited by Apple to the 2007 MacWorld Keynote Address which was given by Steve Jobs. He announced the iPhone. The world was changed and Apple never looked back. It was one of the most masterful presentations I have ever seen (indeed, Ernest Gallo wrote a book based on it). Of course, we also had another book on Steve Jobs released this year: the long-expected official biography by Walter Isaacson. The death of Steve Jobs had been signalled by his leaves of absence and his thinness at the few public appearances he made, particularly the announcement of the iPad. The tablet form has been around for years and no one had made it work. Apple's prior work with the iPhone and its iTunes app store were the cement that had been missing. Several attempts by others appeared afterwards, but none has managed to close the gap. When Steve Jobs' ill health first became public knowledge, the shares tanked, shareholders demanded a succession plan be made public and pundits (for the umpteenth time) declared Apple was finished. Steve Jobs died just after the announcement of the iPhone 4S. The presentations were subdued and there was a symbolic empty seat in the front row at Cupertino. As usual, the know-all commentators looked at the outside and saw the iPhone 4, but failed to take in the changes beneath the skin. Sales exceeded anything before. The pundits were wrong too about what would happen when Steve died: the transition to new CEO, Tim Cook, was seamless, and the shares keep rising. Apple also makes computers. I have three here and another at my office. I taught a small class of computer engineers this week where there were no PCs: all presentations were made using the MacBook Pro or MacBook Air. There were also several iPads and iPhones in the room. 15 years ago, when I asked a class how many students had computers -- anything -- two hands went up. 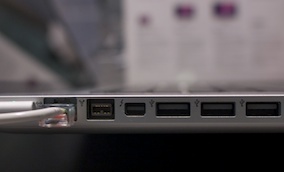 Apple's computers are consolidated into four groups: desktop and portable; consumer and business. The smaller product range controls how the company orders and builds its products. Changes the the lines are often incremental, so no one gets left behind with a massive product shift. Maybe four or five years down the line, there will be some restrictions (Lion now needs certain hardware configurations, but the Macs can still run earlier versions of OS X. MY first iMac (the all-in-one plastic body with the CRT monitor) is still being used by a friend; a MacBook Pro here that is nearly 5 years old runs Lion with no problems. That first iMac, as well as the current range, the iPhone, iPods and the iPad, have the stamp of one man, apart from Steve Jobs: Jonny Ive. 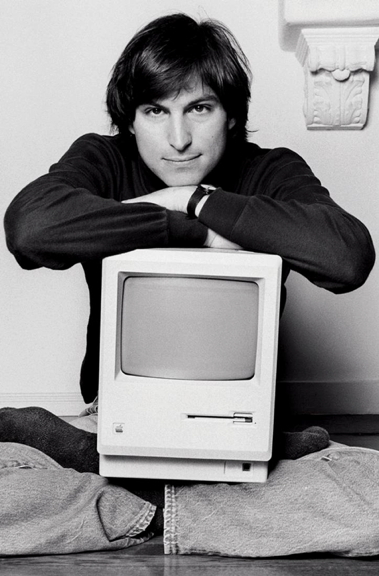 He was tucked away in a small design office when Steve Jobs returned to Apple. When Jobs saw the ideas of Ive, he had found his design guru and they hit it off right away. Ive, now Apple's senior vice president of industrial design, does not design with wide sweeps of a brush on a canvas and ask others to fill in the blanks. He works on the detail as well, including the parts that no one will ever see. 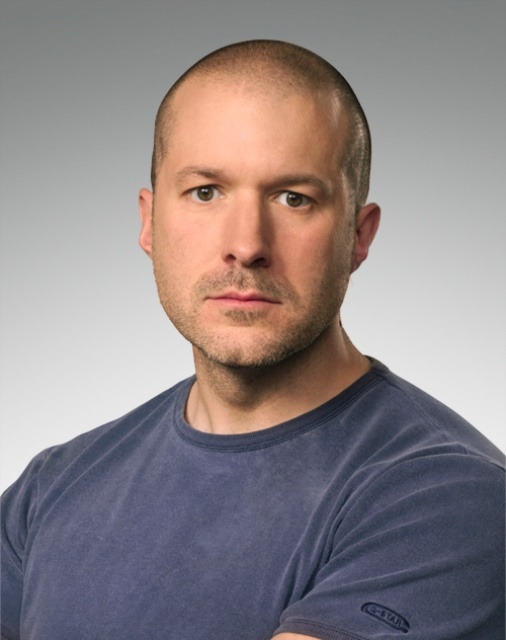 This week he was made Sir Jonathan Ive in the Queen's New Year's Honours List That is Sir Jonathan, not Sir Ive as one online publication had it. An amusing comment came from Andy Ihnatko in a Tweet: "He'll be the first English knight to wear unibody aluminum armor". The big change on the Macs came this year with the arrival of OS X 10.7, Lion which for the first time did away with the disks and downloaded directly from the Mac App Store. The OS has been totally revised and there are some plus points, but a fair number of negatives, not least the way the system keeps having to retrieve and redisplay data, sometimes leaving a user with a blank page for far too long. The update also gave me a chance to rewrite the articles on System Preferences that I had first done for OS X 10.5 and the new version (as well as the old one) is available for download as a PDF (17.8MB). I had several new apps for the Mac through my hands over the last 12 months, and was especially impressed with the way that I was able to buy, download and install in one easy operation, much the same as I could with apps for the iOS devices. The ease was emphasised when Lion arrived. While most of the reviews were lost to the web when AMITIAE collapsed, I have put some of the more useful ones back online. These revived reviews have also been useful when looking at iOS apps. When a new one arrives that is related to one of those I had written earlier, I have put the new one and a revised version of the former online as well. At the end of December for example, I reviewed a new app: Fotopedia Wild Friends. I also made available at the same time three other reviews (in one text) of earlier Fotopedia apps. 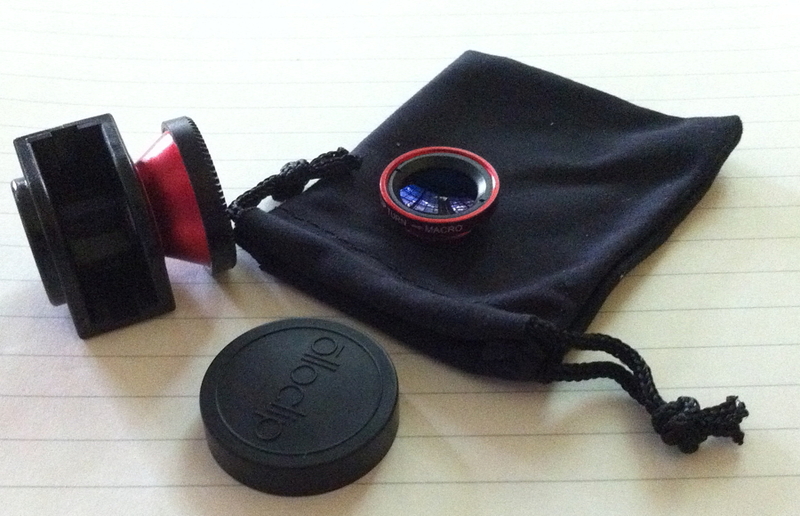 The same happened with the new Grid Lens from Bucket Labs and its earlier release of Phoster. By accident rather than design, I have examined many apps in the last 12 months that make use of the camera functions of the iPhone. With a new iPhone 4S now I am looking forward to more (and better) apps that make full use of the camera capabilities of the new phone. On the iPad, the format has led me to look more at magazines and display content, with the New Yorker Magazine to the fore on my iPad, plus some excellent work by Vogue (both Condé Nast we note), but later in the year the online magazines were joined by the venerable UK Motor Sport whose first edition showed much potential and how the content makes the app. The second (and first paid) issue is due about now. 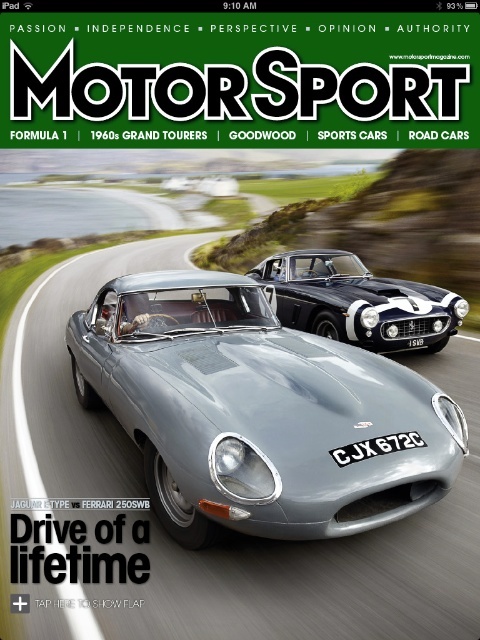 Motor Sport, Condé Nast and others like Life, The Economist and the local Mars Magazine are all scoring well with the provision of unique content. As some newspapers will probably discover within the next 12 months, just putting the title online and making a poor show of what goes into each issue, does not please the customers who have more (and more easily accessible) content to choose from, should they wish: it is a customer-driven market. I don't do predictions. I see these in all manner of outlets online, the TV, in print, and half of these are guesswork, or so obvious that there is little real prediction involved. It is also too easy to be wrong. 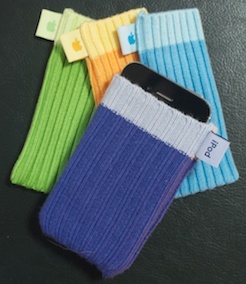 Try this: Apple will make new products this year within a known cycle. There will probably be updates to portable computers and almost certainly to the iPhone and iPad (usually once a year). As Apple is known to be working on battery technology and there is a corporate thing about thinness (apart from in the execs) as well as extending battery life, we may see some updates here and a thinner MacBook Pro. Software is often forgotten but this is also what drives Apple computers. There is likely only to be an announcement about the future release of OS X 10.8 (whatever it is to be called: Ocelot?) while other applications will be upgraded. The iWork suite is well overdue for an update: this was expected last January. Apple needs to be careful however of updating for the sake of updating or incorporating improvements that make too many changes. Both iMove a couple of years back and Final Cut in 2011 have suffered from this. I am going to carry on as I always have, with perhaps one or two changes in terms of the way news is delivered using a sister site. More on that in the next few days. The region and especially Bangkok is in need of an English language site aimed at business and consumers in a similar way to how the Bangkok Post's Database did the job so well for so long. It became a victim of a short-sighted corporate panic that saw the move to online delivery as inevitable, but forgot that readers want unique content, and not the same recycled news stories that can be read on other sites; and in some cases days before. 2011 had too many low points. Let us look forward to 2012. A happy new year to you all.